The title of this article was chosen carefully. I wrote "island" as the capital, Paraika, isn't anything that special. And "one of my favorite", because Bora Bora or Tuvalu would take the crown, as "nothing can be greater than paradise". But as far as the whole island goes, this is very close to perfection! Too many travelers make the mistake to rent a place in Paraika and stay there their whole stay. 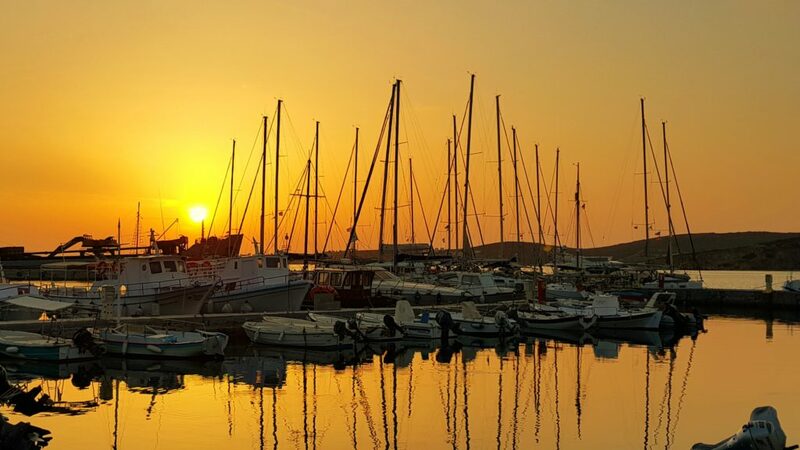 The best option on Paros is to rent a vehicle at arrival (there are hundreds of companies and many will fish you down at disembarkation of your ferry) and stay at various locations on the way. This island is incredible! 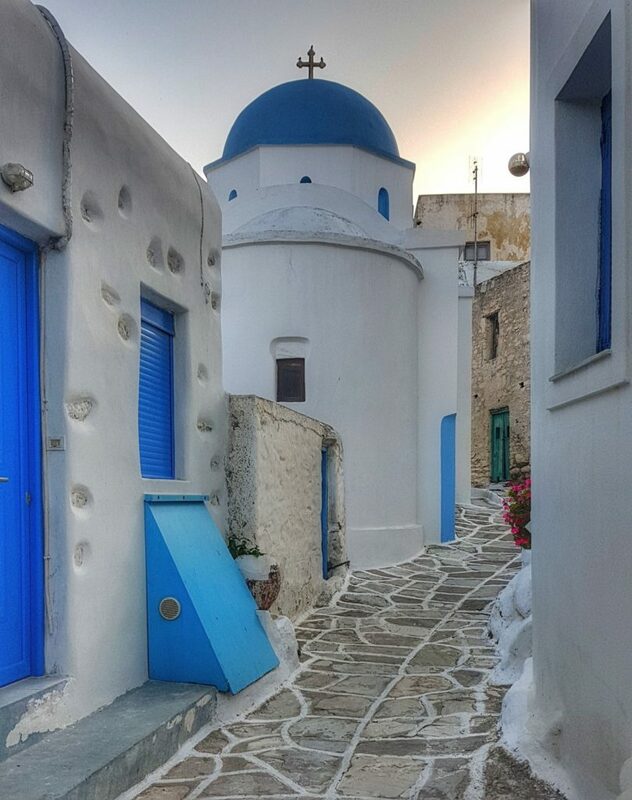 I could imagine myself staying here and build one of those little White and Blue house around Naousa and live happy forever. 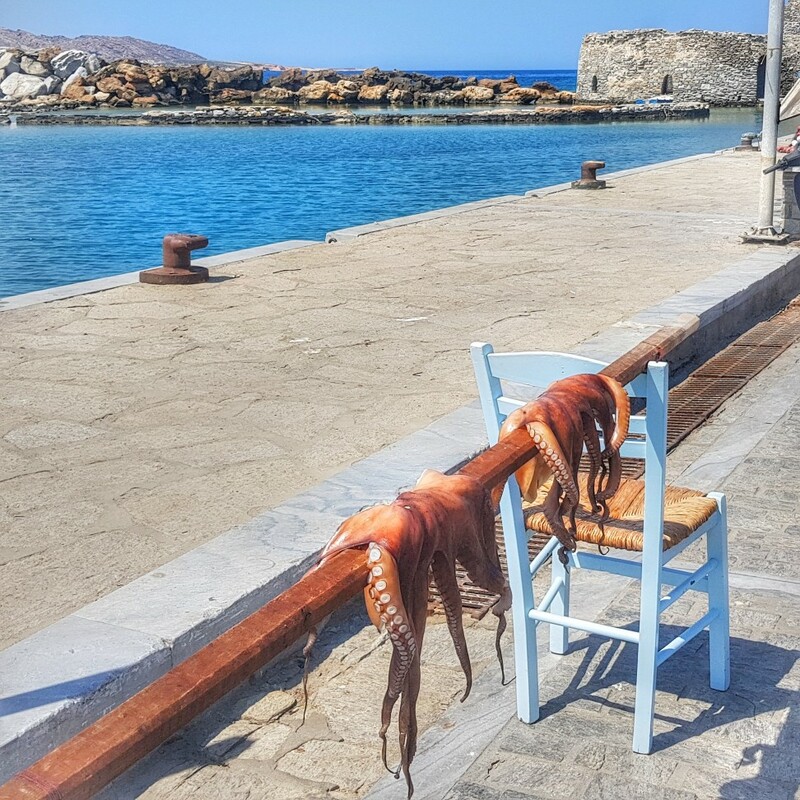 For me, Paros is the perfect example of the "white and blue" towns of the Cyclades, much more than on other islands like Syros, Mykonos or Naxos. The closest comparison I can make of the experience is: imagine walking in a gingerbread town painted in white and blue, populated with cute little cats sleeping all over the place, next to crystal blue waters! It really feels like a fairy tale to be here. 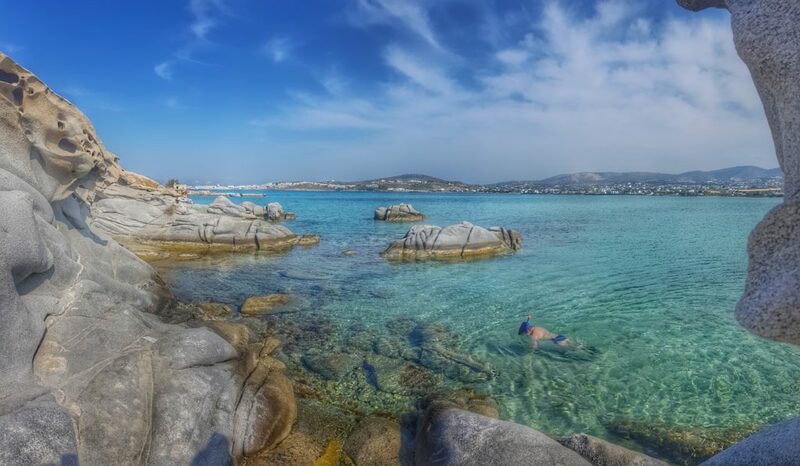 Paros has some of the bluest waters I've found on the Mediterranean, and the reason for that is mostly its richness of minerals. 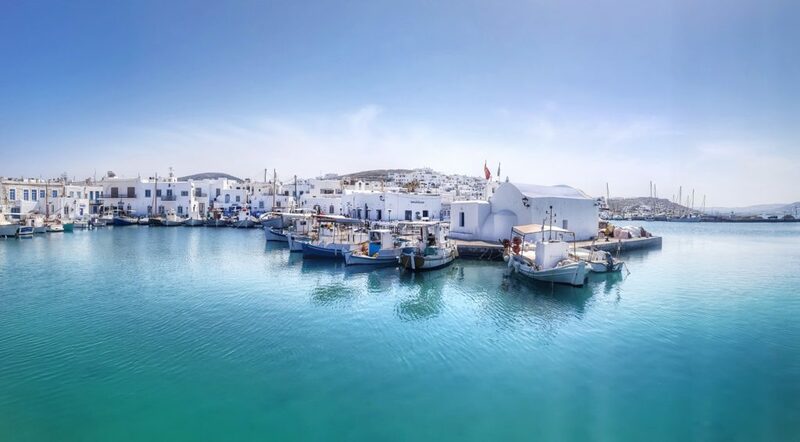 Paros has some of the purest white marble in the world (Even the famous "Venus de Milo" was carved out of Paros Marble) and can even be found on its shores, making the reflection of the sky and consequently its water ever more vivid. Like I stated before, Paraika is cute but nothing special. It looks like a touristic town more than anything else, and there isn't any breathtaking view anywhere around. The most important highlight is the Panagia Ekatontapyiani, which is basically 3 churches built as far back as 300 BC. It can be visited in less than 15 minutes, very nice but nothing spectacular. Other than that there's the Ancient cemetery dating from the 8th century, and the Frankish Kastro, an ancient Venetian fortress that doesn't have much left to it. 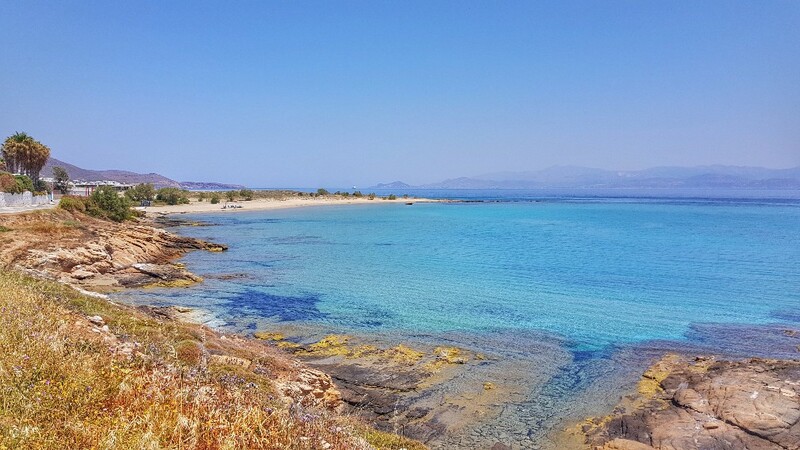 The highlight of the island is definitely Naousa! Wow! What a beautiful little town, it's basically the perfect Greek town, it packs it all! This has become my favorite town in all Greece, no doubt! It's a small little town that packs a lot of charm and style, 100 times better than Praraika. 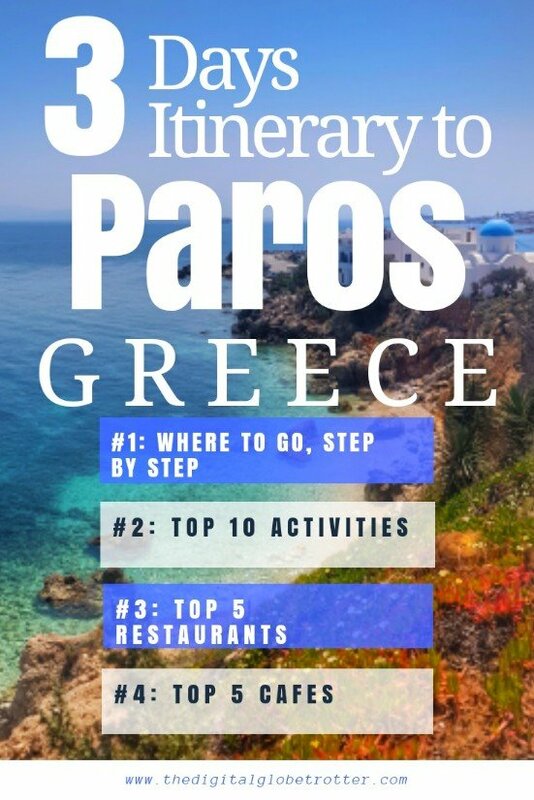 so if somebody wanted to set base in only one place on Paros I would definitely stay here instead of the Capital. It has all the little shops that Paraika has within its old town, and the port has the most scenic views ever. Lefkes is my other highlight and is worth staying for a little change of the beach. 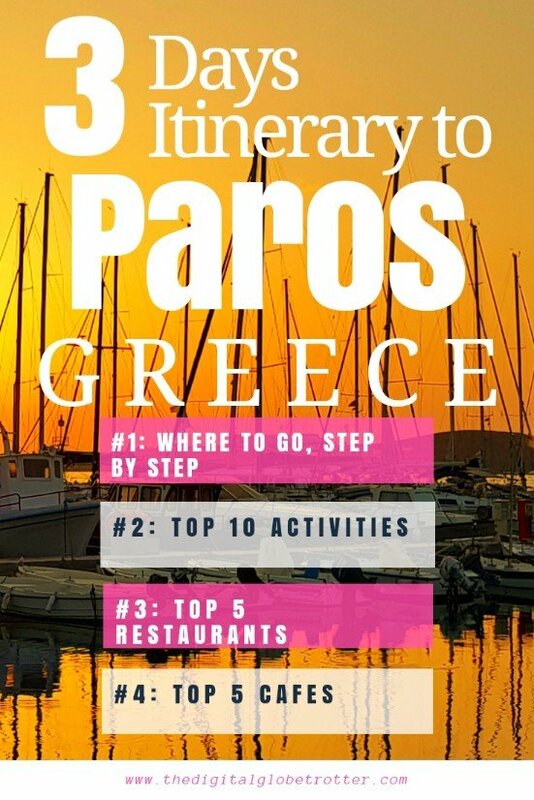 Perched in the mountains in the middle of the island, it was actually the capital of Paros during the middle ages. 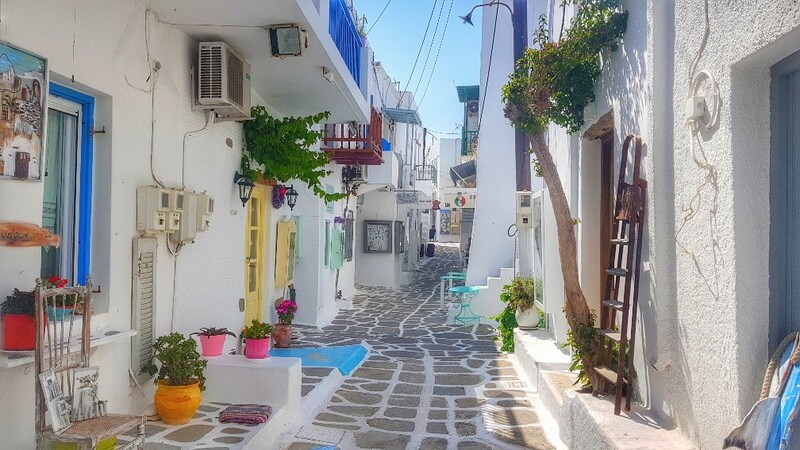 The city is the usual little Greek Cycladic town, beautiful narrow white and blue houses within narrow streets, all leading to the massive Cathedral of Agia Triada, a stunning piece considering the small size of the town. I was actually surprised by Lefkos, I didn't expect such a beautiful place and definitely is a must visit. My favorite beach of the island is on the east coast, at a little town I found by luck while driving around, called "Piso Livadi". It has an impressive viewpoint on its east highest point a little north on the Kefalos Mountain. The port is beautiful and peaceful, great little town to spend a night with a few restaurants. Just north of Piso Vivadi is a mountain with the church of Antonios, set next to Ancient Venetian ruins. There are incredible views from there of the nearby valleys and beaches! I haven't found many resources on the internet that showed me the highlights of the islands. In fact, I found none that gave me the perfect route to do. So here is the Map of my visit around the island, with the highlights marked in Pink. These places can be visited easily with a motorbike, a quad or a Car. 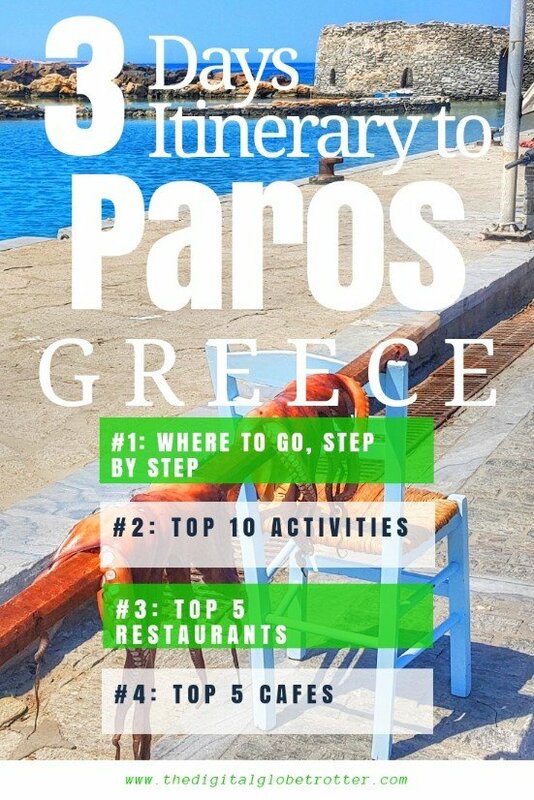 my MUST VISIT highlights are marked in Green! 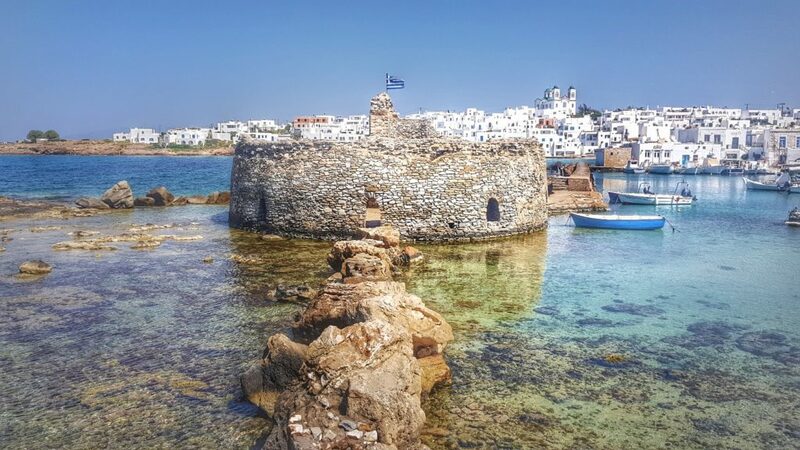 Overall, plan some time in Paros, it is definitely worth a week or a month depending on the time you have and the amount of other islands you want to visit. For me, its a place I will come back to stay long term as a base. It's just so peaceful and pretty.